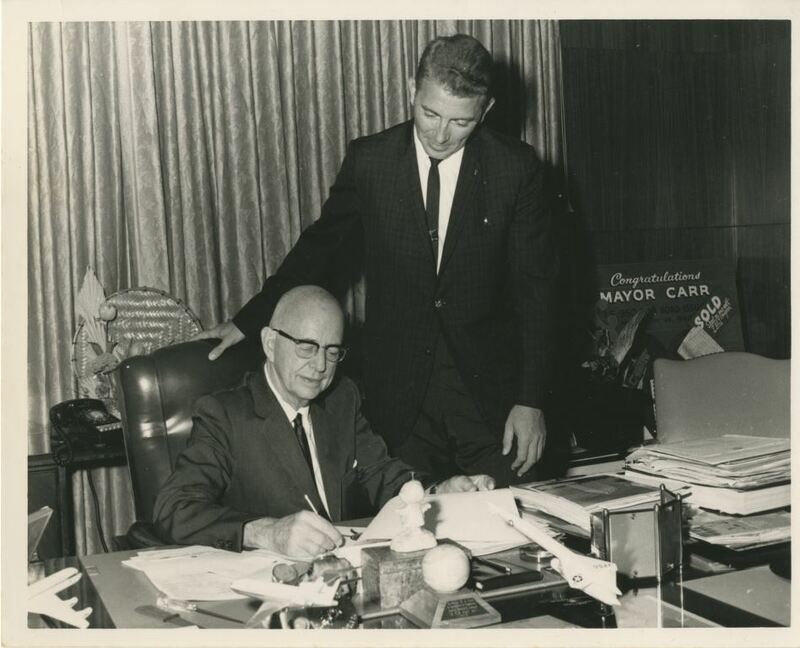 Mayor Bob Carr (1899-1967), who served as the Mayor of Orlando, Florida, from 1956 to 1967. 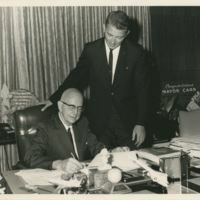 Mayor Carr is best known for being the first mayor in Orlando to promote civil rights while in office. He was also the first mayor to hire minority police officers to the Orlando Police Department (OPD) and established the Biracial Committee. Before he was mayor, Carr was an active businessman for 30 years in the city of Orlando, and was responsible for establishing the first Community Chest in 1938. He was a also member of the First Presbyterian Church of Orlando. Mayor Carr died while in office. Abberger, Nancy H. Heart of the City: History of the First Presbyterian Church Orlando, Florida, 1876-1987. Orlando: First Presbyterian Church, 1988. Carr, Robert S., Jr. "Mayor Bob Carr." The Orlando Sentinel, January 14, 1991. http://articles.orlandosentinel.com/1991-01-14/news/9101110521_1_carr-mayor-bob-first-mayor. “Mayor Bob Carr.” RICHES of Central Florida accessed April 19, 2019, https://richesmi.cah.ucf.edu/omeka/items/show/7896.